We knew this day was coming. In fact, we’re surprised it took this long. The Plastics Revolution, a Mexico City-based band, has unveiled a music video shot entirely with Instagram-processed photos. Stitching together approximately 1,905 Instagrammed photos, the stop-motion montage fills up just a little over four minutes. The “Invasión” love story is whimsical, and the team said they used mostly the “Amaro, Rise, X-pro II, Brannan, Nashville, and 1977” filters for the effect. While there aren’t that many scenes in the whole mini-movie, the video just shows how much Intagram lovers can get inventive with the app. If you have the patience, this video also gives hope that you at home can, too, try shooting your own Instagram movies using the multi-shot timer in your camera. The beauty of Instagram’s help is the ability to crop each square so that the objects in each frame line up as the subject moves. At least to me that was always the hardest part with stop-motion videos. Still, some may debate whether the editors needed to use Instagram for the effect, although you can’t deny the filters add a romantic feel to the whole shebang. This “Invasión” video would be many times more impressive if it was shot entirely with a mobile phone rather than going through just the Instagram treatment (we assumed it was shot with a professional camera since there are some underwater scenes, but it is possible the photographer used a super sturdy case). Besides, if the editors really wanted to add vintage filters to the video, they could have easily used Viddy or similar apps to save a bit of time. Still, we’re not ones to deny the appeal of putting the Instagram name all over your video. 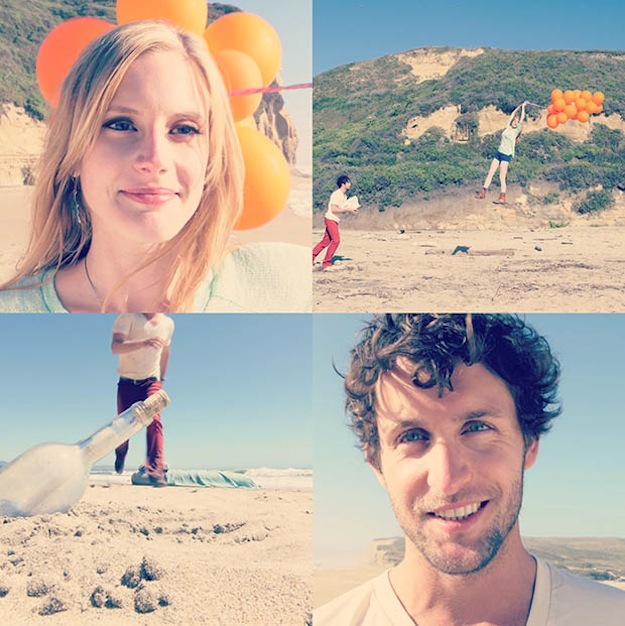 What do you think of an Instagrammed music video? A beginning of a revolutionary trend, or pure gimmickry? One thing we can say for sure is we definitely prefer this over songs about Instagram.